Sovrin is a vibrant ecosystem with many players. This post talks about the relationships of some of those players. 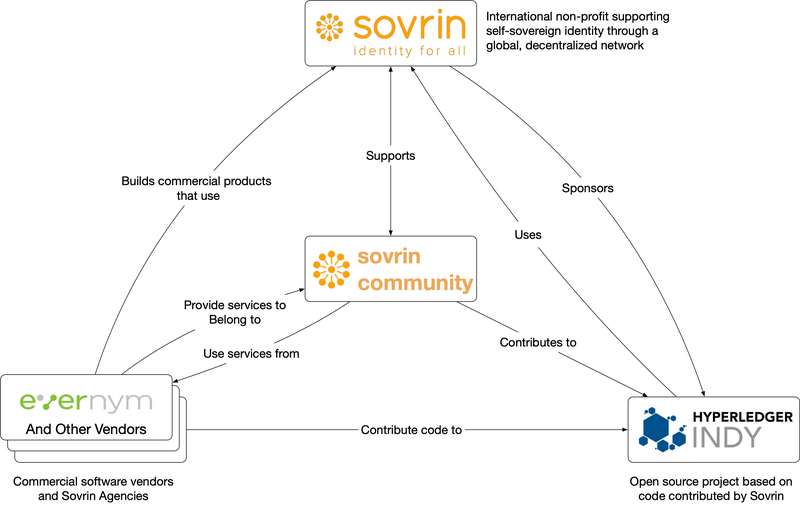 Sovrin Foundation—The Sovrin Foundation is an international non-profit organization supporting self-sovereign identity through a global, decentralized network. I've discussed the Foundation, it's mission, and organization at some length in a previous blog post. Evernym, Inc.—Evernym is a commercial software vendor that developed the initial technology for Sovrin and continues to be a large contributor to the open source code that Sovrin is based on. Hyperledger Indy—Indy is one of the open source code projects in Hyperledger, an open source code effort sponsored by the Linux Foundation. Sovrin Community—The community is the heart of what makes Sovrin work and comprises identity owners, developers, stewards, businesses, and other organizations, all in multiple roles and with varied interests. Sovrin Foundation is the sponsor of the Hyperledger Indy open source project. The Sovrin Network runs code from Indy. 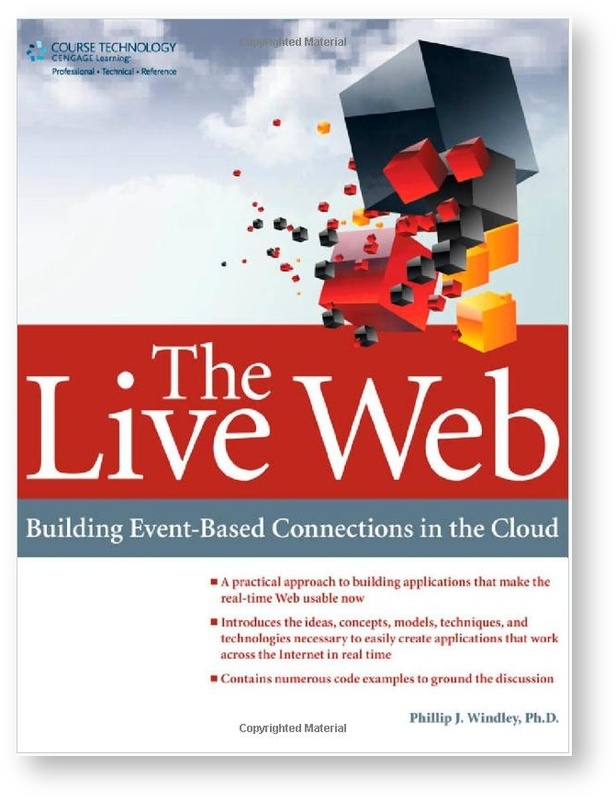 Evernym and other organizations build products that run on the Sovrin Network. For example, Evernym is building the Connect.me wallet for use with Sovrin and a commercial enterprise-grade verifiable credentialing system called Verity. The Government of British Columbia is building software to use Sovrin credentials for business licensing. These commercial organizations also provide services, like agencies, to the Sovrin community. Developers at these organizations contribute code to Hyperledger Indy. Hyperledger Indy houses the open source code for the Sovrin Network and provides collaboration services for Sovrin, Evernym, and others working on Indy code. Indy relies on volunteer contributions from the Sovrin Community. Sovrin Community supports and is supported by the Foundation, contributes to Indy, and provides services to or uses services from the various software vendors and agencies. The Sovrin network now boasts stewards on every continent except Antarctica. There are over 60 stewards representing organizations large and small from around the world. The Sovrin network is running code contributed by over 150 developers who made over 20K contributions just in the last 12 months. The Sovrin Governance Framework has undergone a major overhaul and represents the very best thinking from contributors around the globe in how a self-sovereign identity network should be governed. Dozens of organizations from around the world are conducting pilots or proofs of concept to explore how Sovrin can help them better serve and connect to their customers. 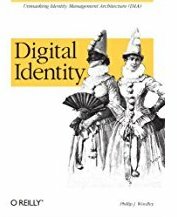 All of this adds up to an extraordinary, vital ecosystem dedicated to promoting self-sovereign identity, defining the processes, protocols, and specifications to make it happen, and building a network that makes it a reality.